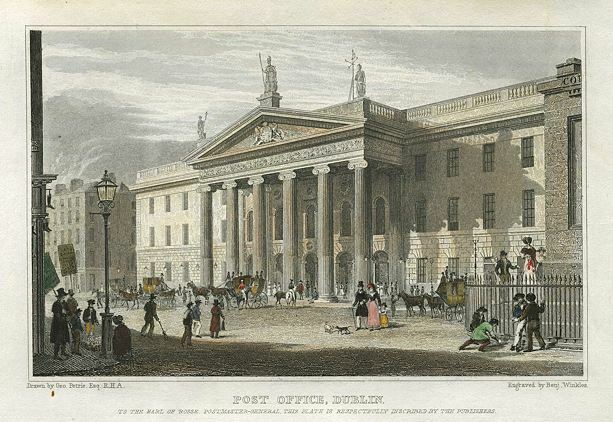 Built in 1814 and sited in the centre of Dublin’s main thoroughfare – O’Connell Street, the General Post Office was designed by Francis Johnston. 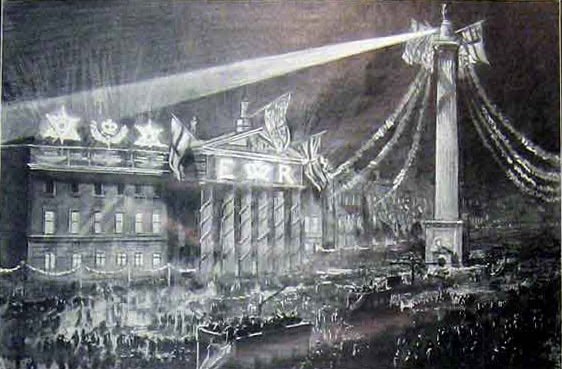 Originally the building was faced by Nelson’s Column which was blown up in the 1960s. 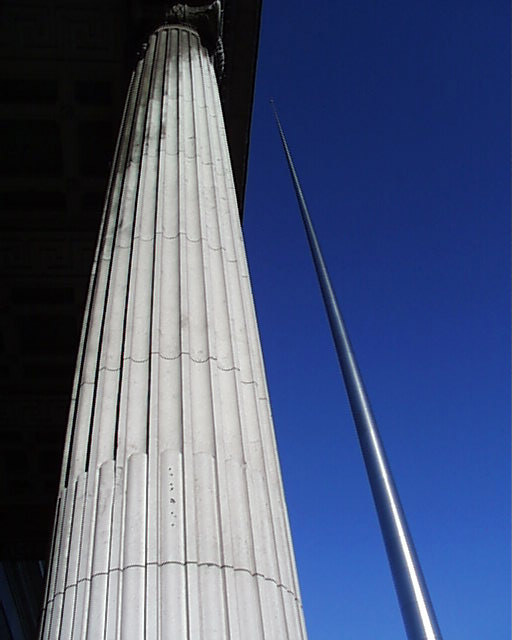 This has now been replaced by the Dublin Spire. 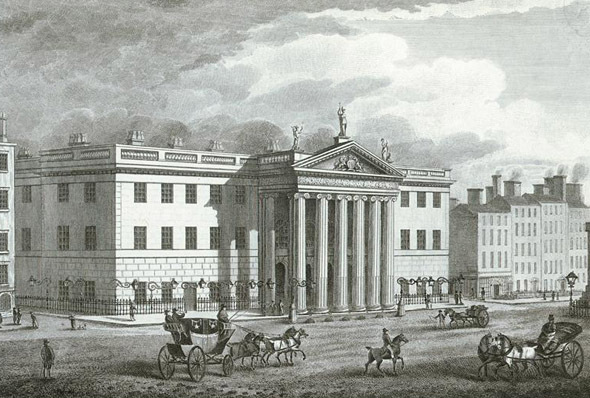 The building’s main feature is the huge hexastyle Ionic portico over the pavement and which spans the five central bays. 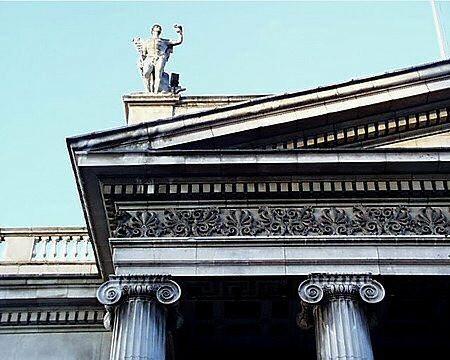 The frieze is heavily carved and topped by a huge dentil frieze and balustrade (recently replaced). To each side of the portico are five further bays. 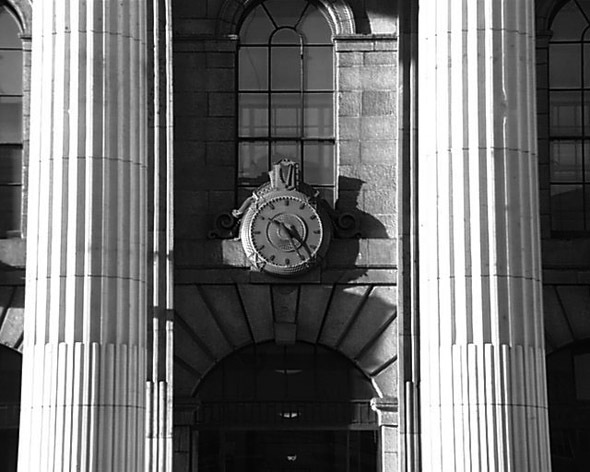 Above the portico are three statues by John Smyth – Fidelity, Hibernia (central) and Mercury. 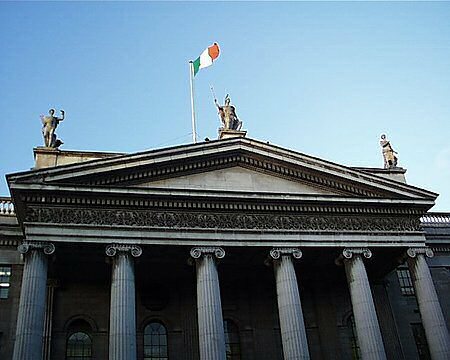 The GPO has a special place in Irish and Dublin history being the focal point of the Easter Rising of 1916. it was here that the Proclamation of Independence was read and the building was gutted in the battle (as was most of Lower O’Connell Street). 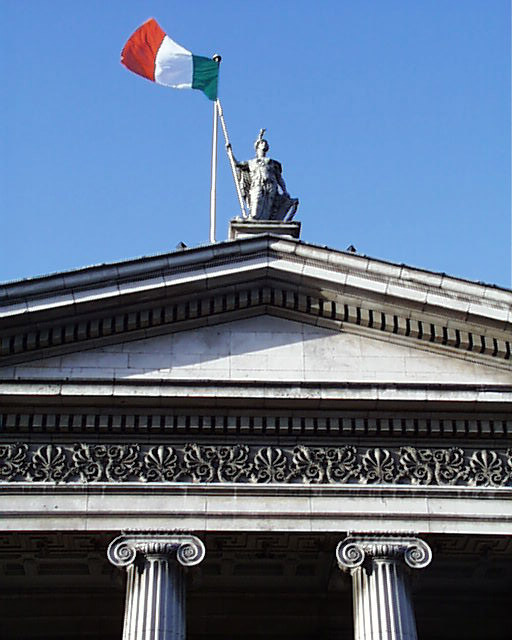 A statue inside the building commemorates the rising – Cúchulainn by Oliver Shepherd. 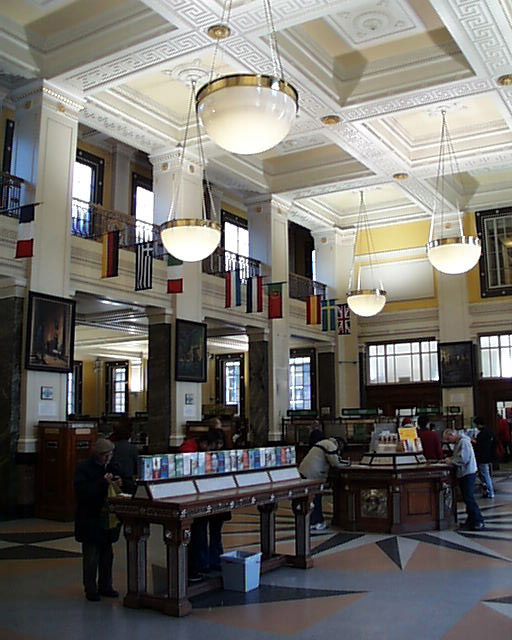 The interior contains a large open postal hall with an elevated mezzanine level over the counters. 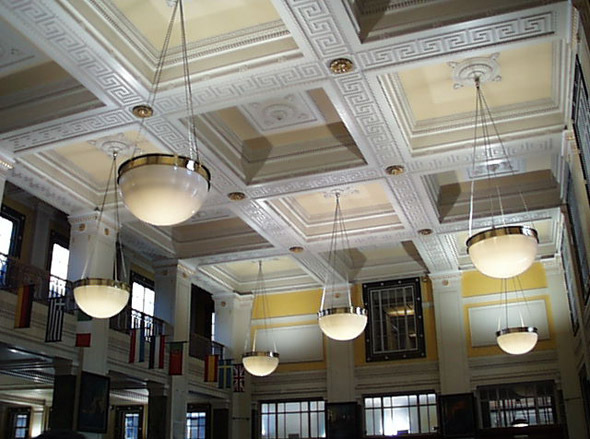 An elaborate coffered ceiling with Grecian designs floats serenely overhead.